EngenderHealth's vision is a world where sexual and reproductive health rights are respected as human rights, and women and girls have the freedom to reach their full potential. This emphasis on rights directly underpins EngenderHealth's values and principles: choice, quality, and excellence. To achieve transformational change leading to true social and economic progress, EngenderHealth collaborates with diverse organizations across sectors with the shared goals of highlighting women's value for sustainable development. Project Description: USAID Boresha Afya – Lake/Western Zone is a five-year project that supports the Government of Tanzania (GoT) in increasing access to high quality, comprehensive and integrated health services, with a primary focus on HIV/AIDS, maternal, neonatal, child and reproductive health, malaria and nutrition outcomes. USAID Boresha Afya – Lake/Western Zone covers geographic areas with the highest disease burden across the following regions: Kagera, Mara, Geita, Mwanza, Shinyanga, Simiyu, Kigoma. EngenderHealth is the lead FP/RH partner in the Project as a sub-recipient to Jhpiego. The FP/RH Program Officer, based Shinyanga project offices, will support project activities contributing to increased access and improved quality of integrated FP/RH services in their designated regions. He/she will work with field teams to provide administrative and program support in the implementation of the supported programs in Tanzania. The overall responsibilities will include providing technical support on the integration of FP/RH services focusing on a variety of technical areas such as training; full and free informed choice; infection prevention; health promotion; operations research; and clinical quality improvement. Support programming initiatives to improve clinical services for integrated FP/RH at the regional/district levels. Contribute to quality improvement efforts to ensure the safety of integrated FP/RH services. Support the development and implementation of quality improvement strategies with counterparts. Provide technical assistance to programs for improving infection prevention practices. Contribute to the planning, implementation and follow-up of clinical training activities; FP mobile and community outreach activities; and integrated health promotion campaign activities. Collaborate with the field office team in assessing requests for support and in preparation of work plans. Provide assistance to council health management teams (CHMTs) and FP/RH trainers on coordinating, planning, and conducting relevant trainings. Conduct training follow up and clinical monitoring and coaching site visits; review the programming and implementation of ongoing projects; prepare reports; make recommendations; and conduct follow-up visits as directed. Build capacity of the CHMTs to conduct integrated supervision, clinical training and mentorships. Assist with developing and writing technical and/or research papers documenting the achievements of the projects. Participate in the introduction of new approaches for the integration of services at facility and community levels as appropriate. Assist with quarterly and annual work plan development other program reporting to the prime partner. Must possess a medical degree (MD, MBBS), clinical degree (such as nursing, midwifery) or a university degree in a related, relevant field. A minimum of three (3+) years of work experience at the district level providing FP/RH technical assistance to public and private institutions/organizations, including clinical training, and mentoring health care providers at multiple levels of the health care system is essential. At least three (3+) years of experience working with NGOs in planning, designing, budgeting, managing, supervising, evaluating and documenting integrated health programs is preferred. Experience in conducting clinical training in long-acting reversible contraceptive and other permanent methods, counseling integration, infection prevention, post abortion care, youth-friendly services, and related focus areas. Demonstrated experience in the management and provision of reproductive health services at facility and community levels. Experience working for international agencies and USAID-funded health programs is preferred. Demonstrated ability to work independently and function effectively as part of a team, and to manage multiple priorities. Excellent interpersonal skills (e.g., active listening, cultural competence, responsiveness) and strong written and verbal communications kills in English are a must. Ability to travel outside of assigned region to supervise and support field activities. To Apply: Please visit the careers page at www.engenderhealth.org to submit you details online by 25th March 2019. EngenderHealth provides equal employment opportunities (EEO) to all employees and applicants for employment, without regard to race, creed, ancestry, citizenship, religion, color, gender, age, national origin, political belief, sexual orientation, genetic information, status as a victim of domestic violence, marital status or disability or any other protected characteristic under applicable federal, state and local laws . 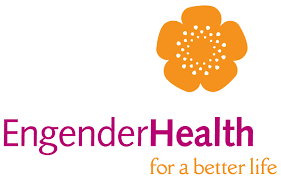 The recruiting organization, EngenderHealth, has not specified a closing date for this vacancy or continues to list jobs after their stated closing date. Because such positions may remain open, they are listed here until removed from the recruiting organization's website. Click the button below to verify its current status.